When I began making mozzarella cheese, I started looking for ways of using it. Not wanting my handiwork to get lost in a recipe, I was looking where it could be the star. There was only one choice. Sometimes simple is best. This is never so true as when it comes to Caprese salad. All it consists of are tomatoes, basil leaves, mozzarella and olive oil. That’s it. Slice, stack and serve. The pure flavors of each ingredient easily comes through and the combination of tastes is perfect. In addition, the salad is beautiful to look at with the whites, reds and greens. The same colors, probably not by chance, as the Italian Flag. In this rendition, the standard Caprese Salad is placed on a slice of French baguette diagonally sliced, coated with garlic and olive oil and toasted in the oven. It makes the salad into a quick appetizer and a great dish for entertaining. I typically serve these without the dressing in the recipe as they are so good as they are. A nice hunk of Mozzarella. I prep the toppings. 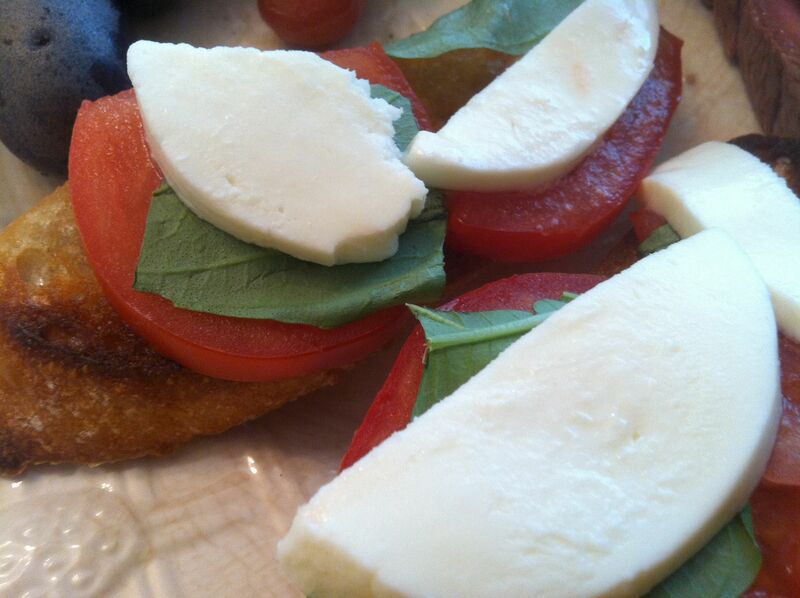 A slice of roma tomato, a basil leaf (or half of one) and a nice piece of mozzarella. Slice the baguette on the diagonal to increase the surface area. Brush with the oil and garlic and bake. Preheat oven to 425. Cut baguette into half-inch slices – or approx 25-30 pieces. Smash garlic with a large knife, peel and break into two halves. 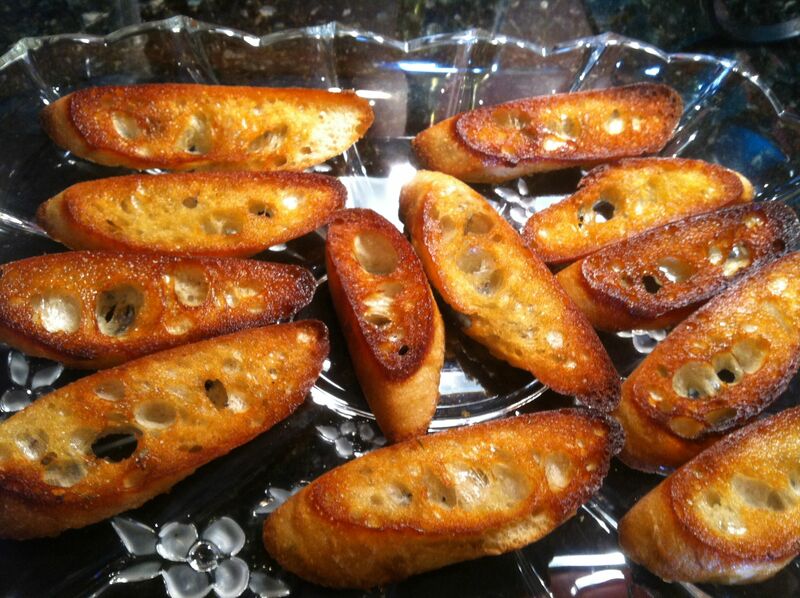 Rub top of each baguette slice with one of the pieces of garlic, as it disintegrates, switch to the other piece. Using a brush, paint the top of each slice with olive oil. 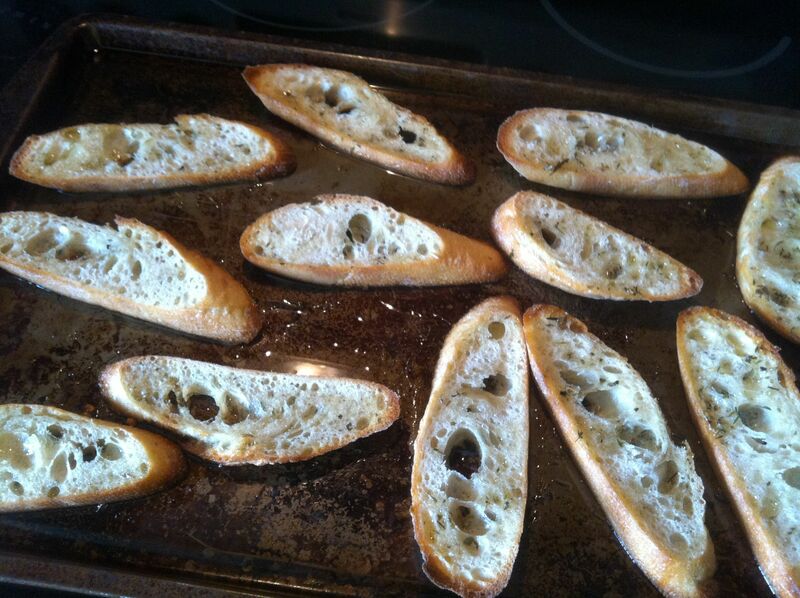 Place each slice on a cookie sheet and bake 5-7 minutes until your crostini are lightly browned. 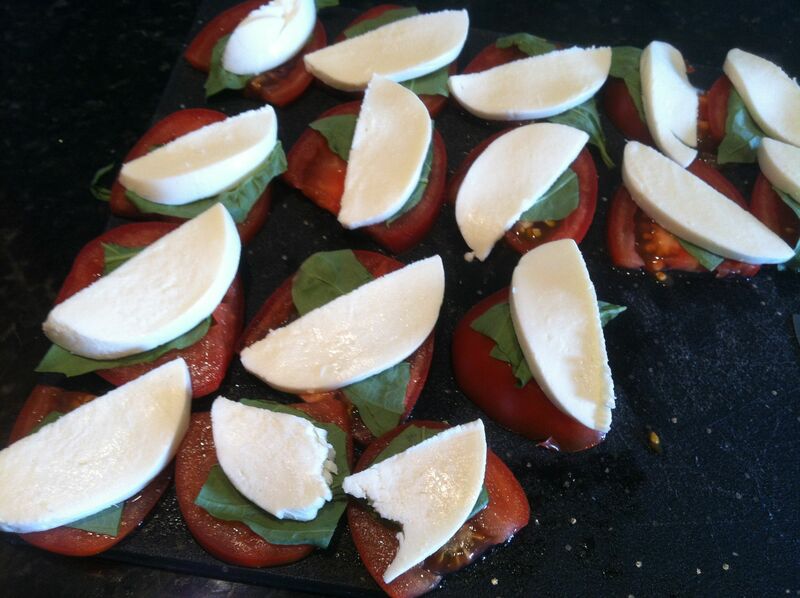 Slice mozzarella into 1/4 inch slices, then half or quarter as necessary to fit onto crostini. Slice tomatoes into 1/4 inch slices, then quarter. 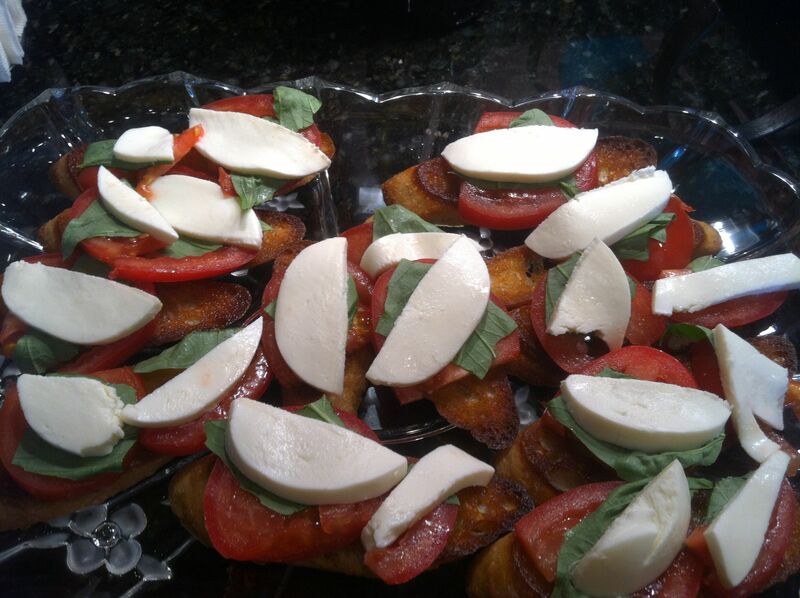 Top crostinis with mozzarella, then basil, then tomato, then drizzle with Garlic Balsamic Vinaigrette. For the vinaigrette, combine vinegar, oil, water, garlic, salt and pepper. Whisk together then let rest for at least 30 minutes for the flavors to combine. Whisk again before serving. Keep remainder in fridge for up to two weeks. ← Product Review: Fiesta Dinnerware New Color – Claret!